David Anthony Llewellyn Owen was born in Plymouth on 2 July 1938. He was educated at Radfield College and Sidney Sussex College, Cambridge, and trained as a doctor at St Thomas’s Hospital, London. He married Deborah Schabert in 1968. During his clinical training in London he joined the Labour Party and the Fabian Society. He lost his first campaign in Torrington, 1964, but was elected two years later in Plymouth Sutton. He held several positions in the Ministry of Defence and was Labour’s Junior Defence Spokesman in opposition before resigning in 1972 in protest at Labour’s opposition to the EEC. He returned to government in 1974 as Minister of State for Health after narrowly winning the Plymouth Devonport seat. In the Callaghan government, Owen was made Minister of State at the Foreign Office, and after the death of Anthony Crosland, he became one of the youngest British Foreign Secretaries, holding the post from 1977 to 1979. Owen kept his seat despite Labour’s 1979 election defeat. However, unhappy with Labour's turn to the left, in 1981 he left the party along with Shirley Williams, Roy Jenkins and Bill Rodgers to form the Social Democratic Party (SDP). He led the SDP from 1983-87. When the party merged with the Liberals in 1987 Owen remained with the SDP until the party was dissolved in 1990. He was made a life peer in 1992, and sits in the House of Lords as a crossbencher. 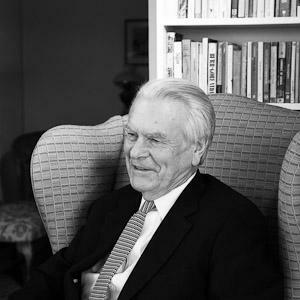 Click here to listen to the full interview with David Owen in the British Library. "In the 1983 election, a week before polling day, Michael Foot came down to Plymouth … bounced up by internal mass rallies and really believing he’s going to win the election; he steps off North Road, waves his stick and says ‘right, let’s go out to Southway and all these new council estates’, which he’s known, after all he was born in Plymouth the same as me, and they said, ‘Michael no, no, no, we’ve got you coming to Frankfort Gate’, which is like Hyde Park… a place where political rallies are held and every body expects a sort of Speakers’ Corner. ‘Oh no no’, he said, ‘I’ve got to go out there’, and out he goes. Of course they know, what he didn’t know, that practically every council house has got a Vote for Owen post, and apparently he went through various shades of green and from that point he must have known that he’d lost and in his heart of hearts he must have known that he’d lost his own people." Track 1 [02:57:07] Born in Plymouth, parents both Welsh. Father was a doctor, mother a dentist. Father a GP in Plympton, now merged into Plymouth. Mother was Rural District Councillor then County Councillor, then Alderman –as an Independent. Far more independents then [02.20]. Brought up in a political family –but not party political. Father had voted in favour of National Health Service –against the BMA line. Father’s part of practice was still a rural area on edge of city. Sailed from early age [05.00] important part of his life. School in Tavistock –he might have entered the Navy as a 13 year old if they hadn’t abolished early entry. On very first day in Parliament he was asked by Gerry Reynolds (Ministry of Defence) to be his PPS and two years later became Minister for the Navy [07.35]. Speaks about Selection conference for Plymouth Sutton constituency –Betty Boothroyd made a better speech but the selectors voted for him because they knew his father [08.20]. Father voted “round the clock” –for different parties. Mother possibly voted Liberal, if at all –prized her independence. Family interest in amateur dramatics. Lifelong identification with Dartmoor -became a ‘not-an-incher” about developments on the moor. Mentions being adopted in 1962 as candidate for Torrington, which included part of the moor. Importance of keeping in touch with constituency -“not a carpet-bagger” and finds it hard to understand how few MPs have real links with their constituencies [14.00]. Close link with constituency “has saved his political life” at times when his majorities were v low. 1962-68 went on working at St Thomas’ Hospital as a serving MP –working day in Parliament was different then with not a lot happening in the mornings. “Nowadays they’ve more or less driven someone who continues their professional career out of politics” [15.25]. It was a broader-based House with people from all walks of life and backgrounds when he joined; increasingly, only lawyers could continue a career alongside politics. Talks about Parliament’s growing love affair with Public Relations. “I wafted into politics by accident” [17.07]. Awareness of political issues at home e.g. comprehensive education, mental handicap services. Joined Labour Party 1959 having voted Labour. Heard Gaitskell on radio saying “too many armchair socialists” –spurred on to join party in Vauxhall [19.40]. Attended Victory for Socialism –left wing organization –heard Ralph Milliband speak. Idle medical student – interested in many things as a student. At Cambridge had joined the Union but thought debates too mannered -“awful”. His training ground was via a friendship with “Red Vicar” Mervyn Stockwood (later Bishop of Southall [N.b. Southwark]) at Great St Mary’s church [21.20]. First political meeting was to hear Aneurin Bevan speaking on behalf of Michael Foot in Plymouth in 1950 election [22.00]. Refers to maternal grandfather, a Welsh churchman –strong influence on his life. Mentions that his father was away for many years during the war. At this meeting he was passed, as a boy, over the heads of the audience to stand at the front. Grandfather was a supporter of Bevan. Welsh Liberal and local government roots. Went to Fabian Society Summer School. Had written pamphlet on pharmaceutical Industry at Medical School –was approached to put himself up for selection in Torrington. Drove down after hospital duty, got selected, told parents –mother not impressed, thought it would damage medical career. Did not tell his employers at Hospital for another 18 months [28.45]. Obligations in constituency not onerous –weekend visits. London friend of his had a cottage near constituency where he could stay. Feudal England. For Election in 1964 he took three weeks unpaid leave; family and girlfriends came down, scratch canvassing team put together, fought good campaign and saved deposit [31.30]. Four meetings a night. Fun. Gaitskell speech of 1960 –on nuclear disarmament “fight to save the party I love” – he began to love labour party [34.00]. Describes going into little villages campaigning with loudspeaker. Flyposting over Brewery adverts [35.10]. He understood the Liberals –by campaigning against them in West Country (tells story about Mark Bonham Carter). Torrington seat was eventually won by a farmer. Tells story of previous Conservative member turning up as a dangerously ill patient in his hospital, [the names get confused here. He uses the name Peter Mills to describe the Conservative MP –later it becomes apparent that he’s referring to Percy Brown; Peter Mills was the farmer who subsequently won the seat] [39.30]. Election a great experience, then he went back and carried on at the St Thomas’ Hospital –became Neurology Registrar. Track 1 [cont.] Labour party organiser –Paul Carmody in Bristol-spotted talent. 1965 he realised there would soon be another election. Friend of parents tipped them off about likely vacancy in Plymouth constituency. He had already been shortlisted for Falmouth –deterred by the extra distance and so withdrew. Tells story about the selection conferences for the two constituencies and how his decision was misinterpreted by Labour party organiser [44.30]. Got selected but didn’t realise constituency was winnable. Harold Wilson came down to Plymouth to show support in campaign [48.00]. Shocked to be told he was likely to win. He knew few MPS, had only visited House of Commons once –for Churchill’s funeral; didn’t have time, had girlfriends and work in hospital. Fighting Plymouth Sutton; had full-time agent, Alf Sweetland –family still friends. Found Labour party people a decent lot. Refers to earlier sexual scandal where party had stood by the agent -an example of enlightenment [51.20]. Better organized in constituency. Door to door canvassing, introduction to working class Toryism [52.10]. Started an identification with the Plymouth Dockyard, believed in Defence. Talks about Wilson subsequently asking him to be Minister for the Navy –despite being a plotter against Wilson –a political calculation 53.50. Ability to plot –just like in Medicine. To this day still a Doctor [55.35] –was written in his passport, not MP. Talks about the subsequent defeat of Labour in 1970 –his wife was more aware of Labour loss of popularity than he was [57.30]. Held onto seat –just. 1964 First impressions of Parliament. Signed in, then asked to meet with Gerry Reynolds at MoD –didn’t know where it was. Suddenly he was a PPS –with a mentor and a set of influential friends –members of a Dining Club-(Jenkins, Crosland) –didn’t realise that he’d joined the Campaign for Democratic Socialism –right wing and pro-Common Market -“bloody close to Federalists”; not quite sure of the politics –on the left on some issues and not a federalist. [01.01.00]. Found himself speaking on a lorry with Iain Macleod –surprised to find himself mixing with Tories [1.01.30]. Callaghan as Chancellor and George Brown –subverting economic plan to avoid “Stop Go Economics” as promised in the Manifesto. Realised he would need to learn about Economics –read books to teach himself, regarded it as a “Natural Science” based on human behaviour [1.04.00]. [goes off mic here] Refers to his experience of life-and-death responsibilities as a young doctor –independent decision maker. Tells story of saving a young child [1.05.45]. You grow up v fast. Learning about politics all the time –Gerry Reynolds, Enoch Powell (opposition Defence Spokesman). Still doing medical research working with a more brilliant man than he-David Marsden –might have influenced him to go into politics. Drove down to the constituency every week; still a bachelor. Fortnightly surgeries always full [1.10.35] –part of normal life, dealing with local matters –get good respect. People underestimate the intimacy of the House of Commons –you could bump into powerful figures and progress a constituent’s case [1.11.30]. Harold Wilson would sit and talk to people over lunch. Changed after 1997. The day they started guillotining every bill caused massive change [1.12.55]. Hard to imagine now the “deep purpose” of holding bills up to scrutiny. Private Member’s Bills were one way of giving young MPS their head e.g Abortion law reform, Homosexual law reform, Divorce Law reform. 1966-70 A Reforming Parliament despite lack of money to spend [1.14.00]. Close friends with Jack Ashley, David Marquand, John Mackintosh –converted him to Devolution. [Thunder off]. Had no room –a golf locker; shared a secretary paid for out of salary probably –not paid more than as a junior house doctor. Got Mortgage on house from Rowland Hill Building Society –for Post Office workers – entitled to it as an MP. Nobody else would give mortgage on decrepit house; had lived on house boat before. Renovated house himself. Didn’t need constituency home because family home was v near. Roots deep in Plymouth –has represented every part of city over time. Talks about slim majorities and impact of Boundary changes [1.18.25]. Challenged Michael Foot to fight him in Plymouth. Track 1 [cont. from 2.46.00] Politics has to have fundamental values e.g. there should have been a proper investigation after Suez –Eden lied to the Commons [2.47.40]. He wrote in 2004 that Blair should have stood down –you can’t make error after error in wartime , or lie about Intelligence - it’s Contempt [2.48.45]. Until recently there was a belief that if you lied to Parliament you had to go – we should restore that [refers to current issue over Jeremy Hunt and BSkyB]. Carrington was right to go after Falklands invasion. Cyrus Vance resigned over Iranian hostages disaster. Resignation is an essential tool of politics [2.51.25]. Optimistic about current state of Politics in Britain –Yes, strangely e.g Libya intervention; being able to adjust to outcome of 2010 election; Parliament is showing itself to be flexible -House of Lords Reform will be seen as phoney; parliamentary role in Murdoch enquiry has been important. Globally, he sees weak parliaments; likes German system, but we hold our own. We’ve allowed journalistic profession to be too influential. But overall the main issue is Europe - believes British people will say No [2.55.00]. We don’t need to be worried about our democracy –it adjusts. Looking at Commons from a distance he sees more diversity now. Essence is – get the constituency business right. versity now. Essence is – get the constituency business right.